Its passage marked the latest signpost in Beijing’s intensifying crackdown on activism and dissent during the past two years, featuring repression of civil-society groups, heightened monitoring of social media, and sharpened warnings against the spread of Western ideas and influences. The new legislation forms the centerpiece of a series of proposed security laws, including draft laws on counterterrorism and the management of foreign nonprofit groups. Together, experts said, the laws underpin a push by President Xi Jinping to consolidate his and Beijing’s power and promote a notion of rule of law that doesn’t undermine the Communist Party’s authority. 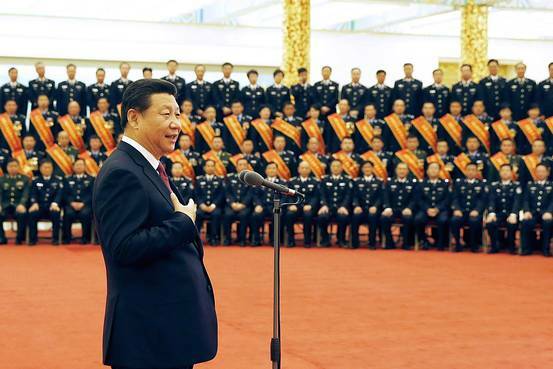 via China National Security Law Aims to Create ‘Garrison State,’ Experts Say – China Real Time Report – WSJ. China’s top legislature on Sunday adopted a revision to the Workplace Safety Law which imposes harsher punishment on offenders. Members of the Standing Committee of the National People’s Congress adopted the revision through a vote at the bi-monthly legislative session held from Monday to Sunday. The amendment further increased fines for enterprises involved in serious workplace accidents from the maximum of 5 million yuan (810,000 U.S. dollars) proposed in its original draft to 20 million yuan. The quadrupled fine cap is stated in an added article which stipulates fines ranging from 200,000 yuan to 20 million yuan, depending on the losses incurred in the accident. Under the old Workplace Safety Law, fines for enterprises violating the law were no more than 100,000 yuan or below five times the income earned from illegal operation. Managers in charge of such enterprises who are found to have failed in their duty to ensure safety will also now be fined between 30 and 80 percent of their annual income corresponding to losses in the accidents. This is a massive raise compared with the former law, under which managers faced fines between 20,000 yuan and 200,000 yuan. The revised law states that managers responsible for “serious” and “extremely serious” accidents will be banned from serving as principals in enterprises in the same industry. The regulation on work safety issued by the State Council in 2007 defines “serious accidents” as those causing 10 to 30 deaths, 50 to 100 serious injuries, or direct economic losses of between 50 and 100 million yuan. via China imposes harsher punishment to ensure workplace safety – Xinhua | English.news.cn.